What was Chicago’s response to the Civil War? Chicagoans’ support for the war was actually quite varied, and for some groups, changed as the war progressed. 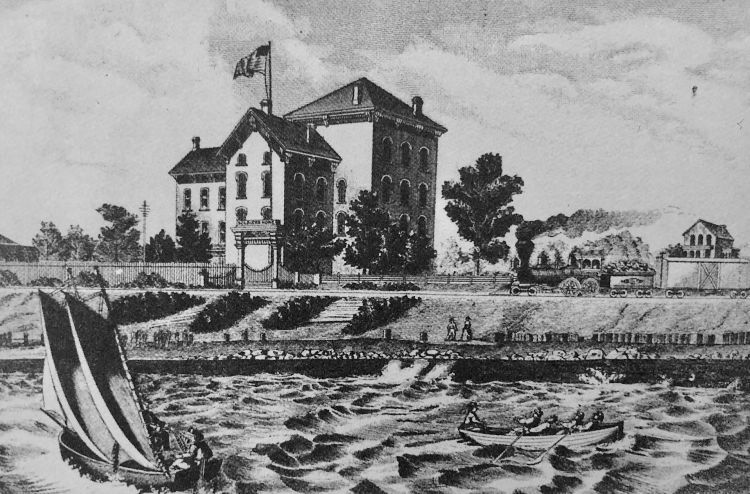 When the war first broke out, not everyone in Chicago was in favor of ending the institution of slavery, but a majority of Chicagoans did want the country to stay united. 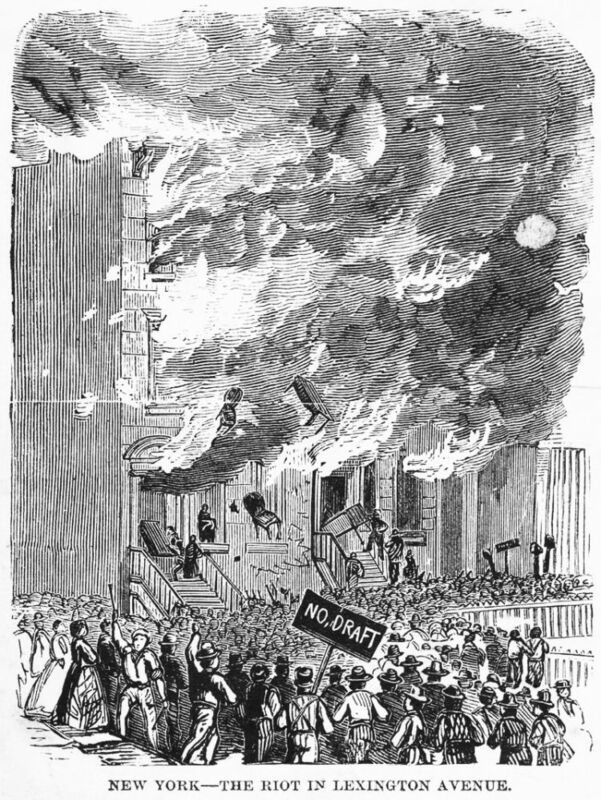 So when the fighting began in 1861, Chicagoans, overall, were supportive of President Lincoln and the Union Army (the army that represented the North), hoping it would prevent the country from breaking apart. Enthusiasm was so strong in the beginning that when Lincoln asked Illinois for 6,000 soldiers, or six regiments, the quota was met in just a few days. But as the war dragged on, divisions became more pronounced. Some people became disenchanted with the war effort and began to resist or criticize the war. Others were limited in the ways they were allowed to participate in the war effort, but went to great lengths to demonstrate their support. We've chosen three groups whose experiences during the war showcase these differences and together reveal a city varied in its attitude and response towards America's most deadly conflict. Just before the Civil War broke out in 1861, there were about a thousand African-American residents in Chicago, some of whom were fugitives from slavery. Historian Christopher Read says these African-Americans were apprehensive when the war broke out. H. Ford Douglas, an African-American man living in Chicago during the war, was thrilled when the war started. Douglas had been born into slavery and had escaped, and he jumped at the opportunity to strike a blow against the slaveholding south, and possibly contribute to the end of slavery. 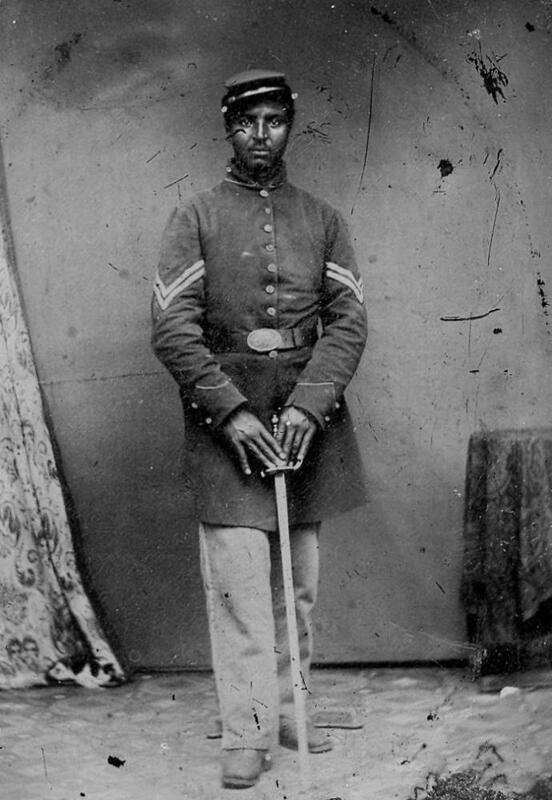 Even though African-Americans were not allowed to serve in the army at the beginning of the war, Douglas was determined to fight. Passing as a white man, he joined the all white 95th Regiment, Illinois Volunteer Infantry. When his fellow soldiers realized he was black, they allowed him to stay in the unit. 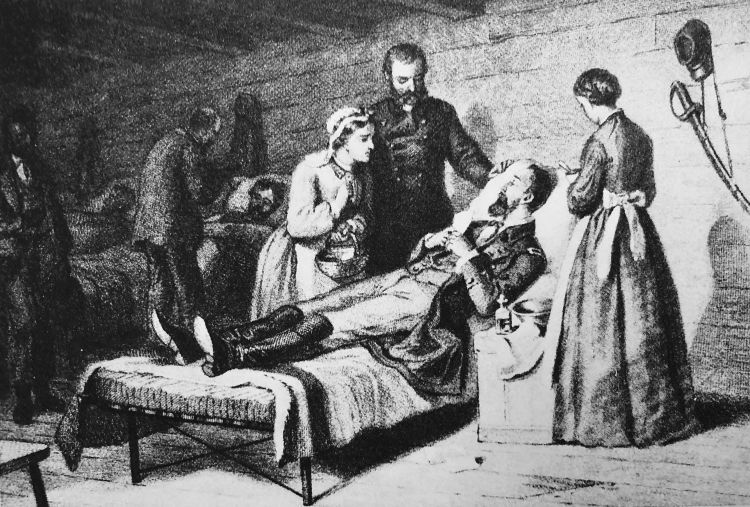 He fought in Tennessee and Louisiana, was wounded, and eventually made his way back to Chicago in 1864. At that time, Illinois needed more men, and African-Americans were allowed to enlist. 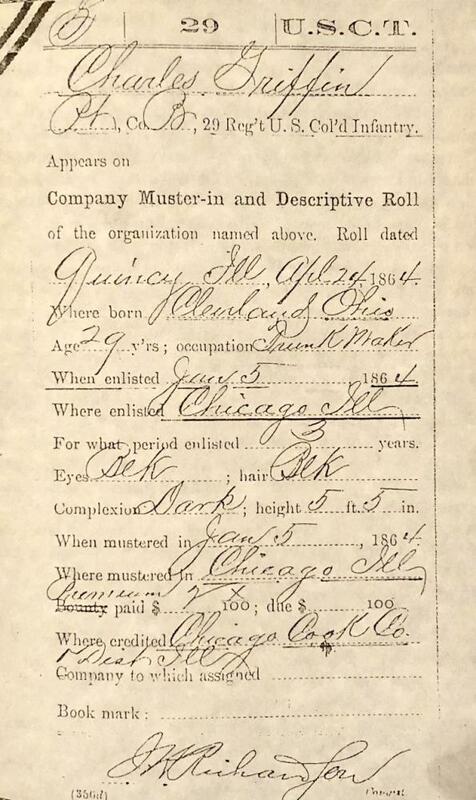 Along with other prominent black Chicagoans, Douglas enthusiastically recruited soldiers on the streets of Chicago for an all-black regiment, the 29th U.S. Colored Infantry. He personally enrolled at least 12 men for the 29th. That unit, along with other United States Colored Troops regiments, proved a welcome relief to the Union Army that had struggled to meet recruitment goals. In the spring of 1865, the all black 29th Infantry was a key part of General Ulysses S. Grant’s army which boxed in Confederate General Robert E. Lee during the battle at Appomattox, Va. Lee was forced to surrender, and the Civil War ended. Reed says the black soldiers started to cheer when they heard Lee would surrender. “They were quickly told to end their celebration because the war was not meant to embarrass white southern brothers,” Reed says. African-Americans’ participation in the war effort helped lead to legislation that abolished slavery. In Illinois, participation in the war also helped activists overturn the “Black Laws” that formally restricted African-Americans’ civil rights. But the Civil War also stoked white resentment against black Chicagoans as evidenced by early attempts to segregate schools and keep African-Americans off public transportation during the war years. Irish-Americans were a relatively new group of immigrants in Chicago in the 1860s. Most were Democrats, so when the war broke out, they fell in line with Democratic Sen. Stephen Douglas, a political leader who called on Chicagoans to support Abraham Lincoln and the war effort. Thousands of Irish fought for the Union and were praised for their courage and ferocity. But by 1863, the support of Irish-Americans for the war was wavering. Historian Eileen McMahon says the Irish experienced prejudice and didn’t feel entirely welcome. They were also in direct competition with African-Americans for low skilled jobs on Chicago’s docks, and they worried that an end to slavery might mean more free blacks flooding the Chicago labor market. McMahon says the Irish objected to the Emancipation Proclamation, which linked the war with the goal of ending slavery, and they were uncomfortable with the Conscription Act, which required all eligible males to register for a draft. They felt the law unfairly targeted lower income Americans. According to McMahon, these policies added to Irish-Americans’ sense of unease in their new country. Other instances were more serious. A Mrs. McCafferty was arrested for threatening two enrollment officers with a butcher knife. And in June of 1863 the Tribune reported a “mob of three or four hundred infuriated Irish … gathered together, and howling like demons, commenced an onslaught upon the officers with bricks, stones, bottles and every missile they could find.” Three officers were injured, and one man’s skull was fractured. Memoirist Frederick Cook later recalled Irish-American businesses flying Confederate flags or celebrating Confederate victories on the streets in Bridgeport as a provocative protest against Lincoln’s war policies. When war broke out in 1861, many women in Chicago looked for ways to participate in the war effort. They were not allowed to fight (although a few disguised themselves as men in order to join the army), or hold political office, so their participation was limited to supporting their husbands, sons, and brothers fighting for the Union Army. The first efforts to be helpful were ill-conceived. Women were encouraged to make havelocks, a kind of cloth garment soldiers were supposed to wear under their caps to protect their necks from sun and rain. But soldiers did not use the havelocks as they were intended. Instead, they re-fashioned the material into turbans, scarves, or bandages. After the havelock craze, women began scavenging lint for bandages, then making bandages, and in both cases, were told their efforts were wasted because factories could do the work more efficiently. According to historian Ted Karamanski, women in Chicago eventually found a serious need they could address: the U.S. government’s complete inability to treat the thousands of soldiers wounded in the battlefields. “The only way that those wounded were taken care of is because people from Chicago with some support from the City Council got together on a train and brought in bandages and medicines — they took care of the wounded themselves,” Karamanski says. And it was women who organized this effort through the Sanitary Commission. Technically, the Chicago Sanitary Commission was led by Judge Mark Skinner, but according to Karamanski, Mary Livermore and Jane Hogetook over the day to day operations and fundraising for the organization. Under their leadership, they organized field hospitals, treated wounded, fed and clothed soldiers, and helped keep military encampments clean and hygienic. They also built several “soldier’s rests,” or way stations for wounded soldiers traveling home from the conflict and funded and built the Chicago Soldier’s Home, which still stands in Bronzeville. The work of women in the Sanitary Commission, in parallel with similar work and advocacy by Florence Nightingale in Europe, helped establish the idea that women could enter the workforce, serve society, and eventually make an independent living as nurses, a profession previously considered to be for men only. Historian Ted Karamanski points out the Sanitary Commission served as a kind of public activism training ground for many women who later went on to lead Chicago’s suffragette movement in the late 19th Century. 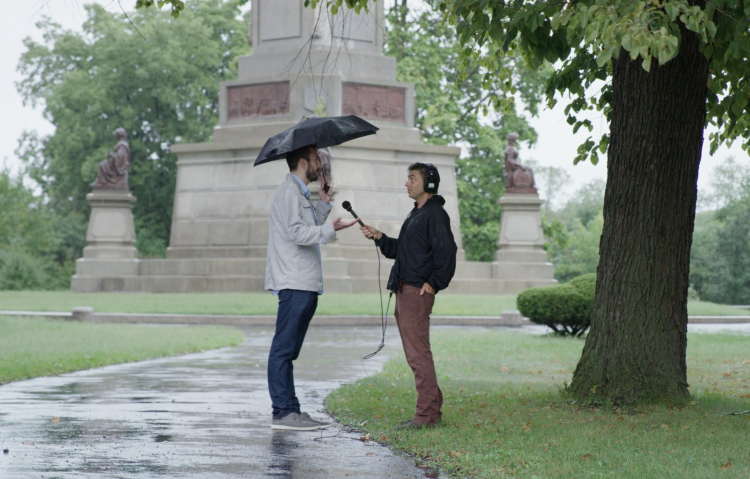 Questioner Will (left) met up with Curious City audio producer Jesse Dukes (right) in front of the tomb of Illinois politician and lawyer Stephen A. Douglas, Lincoln’s main political rival. The tomb is located in Bronzeville near the site of the Union Army and prisoner of war Camp Douglas. Will Butzke grew up Batavia, Illinois. He says he’s always liked history, but never learned much about the Civil War. Growing up outside Chicago, Will says he was taught that Chicago was firmly on the side of the Union, and had participated enthusiastically in the effort to hold the country together and end the institution of slavery. He says he thinks it’s a shame more Chicagoans don’t know much about their city’s participation in such a monumental event in American history. Jesse Dukes is Curious City’s audio producer. Follow him at@curiousdukes.